The life of Charles Dow, in many respects, follows the storyline of the prototypical self-made man. Denied a proper education by tragic circumstances in his childhood, Dow pursued his dream of becoming a newspaper reporter despite a lack of any formal training. Once he partnered with fellow reporter Edward Jones and discovered a passion for investing, his Dow Jones Industrial Average became one of the most iconic institutions in the history of high finance. Charles Dow was born into a family of farmers in Sterling, Connecticut, on November 6, 1851. With the death of his father in 1857, and his two older brothers failing to survive childhood, Charles missed out on his chances for much formal education by dedicating himself to running the family farm with his mother. Following his dream of becoming a newspaper reporter, Dow apprenticed himself to Samuel Bowles III, the owner of the Springfield Republican, in 1869. After 5 years there, he became the night editor of the Providence Star, where he became friends with fellow reporter, Edward D. Jones of the Providence Evening Press. From there, Dow moved to the Providence Journal, where, in 1879, he accompanied a team of geologists and Wall Street executives to Colorado to cover the state’s recent silver boom. Having developed an interest in mining stocks, Dow joined the New York Mail and Express for the opportunity to be a financial reporter. His work soon got him a job as a financial correspondent at the Kiernan News Agency, where he convinced his superiors to hire his friend Edward Jones. In November of 1882, Dow and Jones struck out on their own, forming the news agency of Dow, Jones & Company. In order to provide information faster than their competitors, Dow utilized runners to take stock news and analysis down to Wall Street every afternoon in the form of a newsletter. On July 13, 1884, Dow’s afternoon letter contained an eleven-stock index that he developed to project trends in the market—an index that eventually became the Dow Jones Industrial Average. The decade that followed saw Dow Jones produce the first four-page, four-column edition of its paper, the Wall Street Journal, and provide subscribers with “real-time” stock quote information through the use of its innovative “ticker” tape. By the end of the century, Dow Jones was one of the most respected names in the financial industry and its Wall Street Journal employed a staff of over 100. 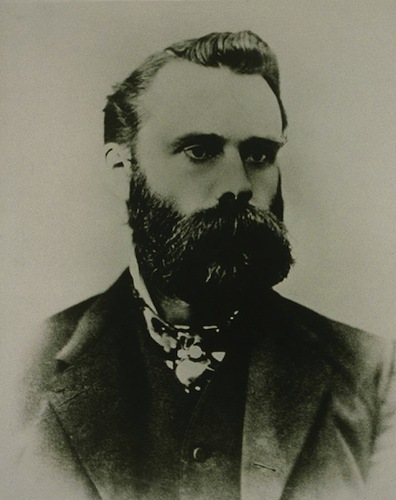 Dow’s health began to suffer, however, and Charles Dow officially resigned as the director and president of Dow, Jones & Company on March 7, 1902—roughly 6 months before his death. Shortly after his resignation, Clarence Walker Barron, the head of Dow’s news bureaus in Boston and Philadelphia, purchased Dow, Jones & Company, and its newspaper, for $130,000. The investment paid astronomical returns. In 2007, News Corporation, headed by president Rupert Murdoch, purchased that same company Dow and Jones started together for $5.6 billion.